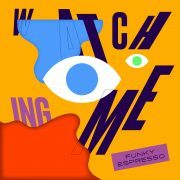 Watching Me is the second Funky Espresso production on Smooth Operators. This house track has a Mediterranean vibe, crafted for summer dancefloors. Produced in Berlin, mixed and mastered in New York, remixed in Buenos Aires, it captures the groove from around the globe. The track was born when Funky Espresso was jamming in their studio with Argentinian singer Priscilla Omil, looking to create a track that embodied the feeling of long lasting dances by the beach on summer nights. Paul Griesbach on his legendary sax and Paul Rowley on his guitar joined in and gave “Watching Me” an additional Balearic flair. The track was sent to Brooklyn-based producer Federico Chiesa (OORA), who fell in love with the vibes and decided to mix and master it adding some dancefloor presence to the soulful track. Upon receiving the track back in Berlin, Funky Espresso sent it out and started receiving amazing feedback. Bill Brewster, London-based legendary DJ, was taken by the track and suggested that they reach out to Buenos Aires-based producer, bass player of 2020 Soundsystem, Fernando Pulichino to work on a remix. After a quick exchange, Fernando had the great idea to take the track in a more raw and funkier direction. Together with the broken beat remix from Berlin-based Andrew Ashdown (Bridge Guy) and the acapella version celebrating Priscilla’s beautiful vocals, this release is the total package for summer playlists.